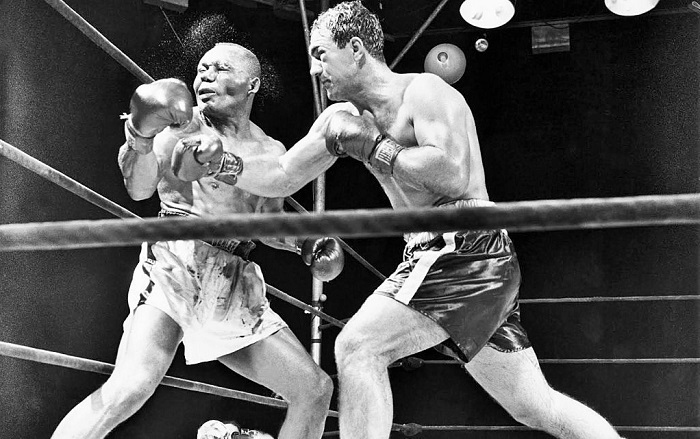 It was 1952, and ever since the great Joe Louis had relinquished his world title in 1948, the world championship of the big men had been lost in a storm of confusion. 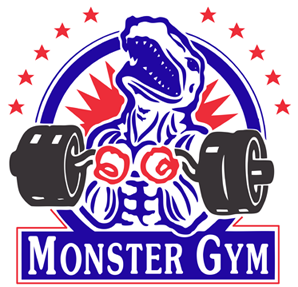 It would take an extraordinary fight and the sport’s only undefeated heavyweight champion to help boxing’s premier weight class regain coherence. 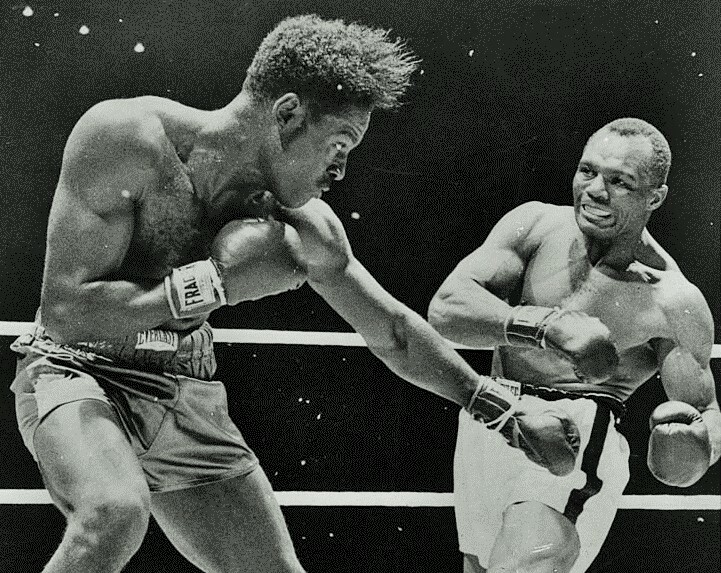 Before retiring, Louis had faced veteran Jersey Joe Walcott twice. Their first clash was one of the most controversial in history as the judges gave “The Brown Bomber” a narrow points win when virtually everyone else saw Walcott the clear winner. The aging champion’s mortality was clearly showing and when he announced his career was finished after scoring an eleventh round knockout of Walcott in the rematch, it seemed to all like the right decision. But shortly thereafter Louis was faced with a bill from the IRS for overdue taxes and the man who had donated hundreds of thousands to help the nation during World War II had little choice but to lace up the gloves again. Walcott drops Louis in their first meeting. 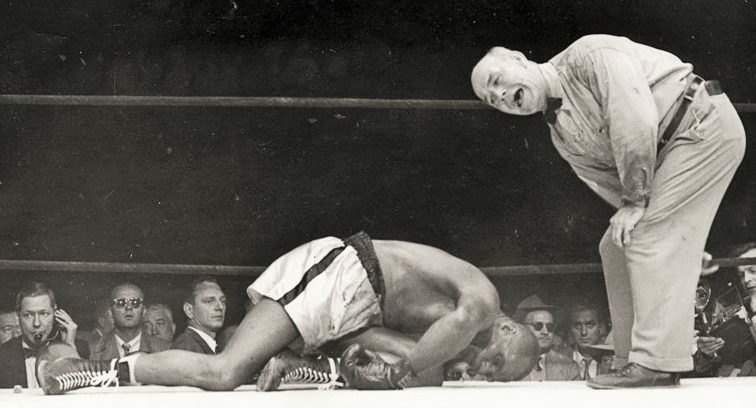 Meanwhile, Ezzard Charles had assumed the position of champion with a points win over Walcott. He turned back the challenge of the comebacking Louis and went on to defend his title against the likes of Lee Oma and Joey Maxim, while Joe continued to fight, hoping for another chance at the championship and another much-needed big payday. 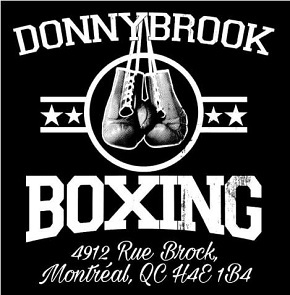 Instead, in October of 1951 he ran into a burly young slugger from Brockton, Massachusetts named Rocky Marciano. 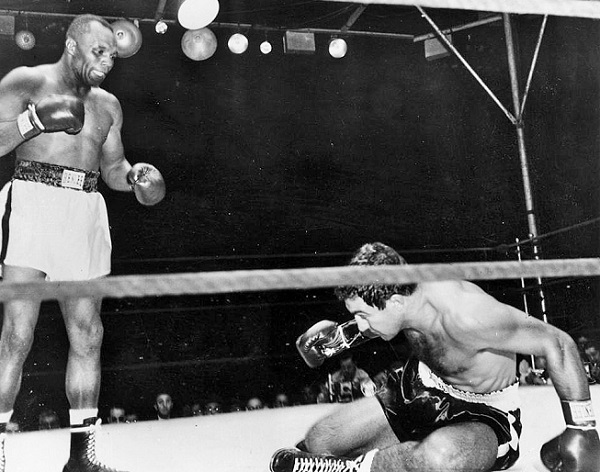 The two contenders battled in Madison Square Garden and nostalgic fans of “Joltin’ Joe” and the sentimental fought back tears after Louis was knocked out by the younger, stronger man in round eight. 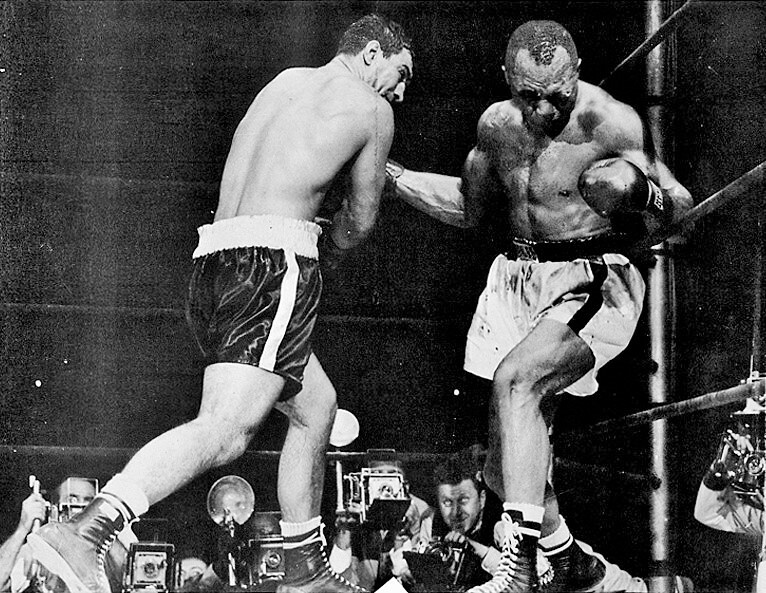 In his final fight, Louis falls to the younger Marciano. But earlier that same year Charles and Walcott had fought twice more, the rematch another decision win for Charles in Detroit, a verdict which more than a few thought represented a second championship robbery inflicted upon Jersey Joe. So, Ezzard and Walcott made it a trilogy, this time in Pittsburgh, and this time old Jersey Joe scored a most historic win as with a single lightning left hook in round seven he became the oldest heavyweight champion in boxing history. 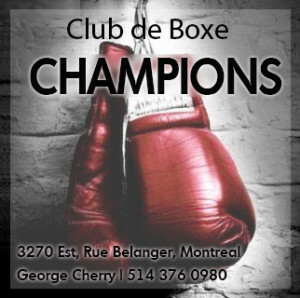 The following June Walcott beat Charles again, this time on points, while Marciano had scored four straight knockout wins to firmly establish himself as the top contender of the big men. The stage was set: the two best heavyweights in the world were Jersey Joe and “The Rock” and their battle for the championship was to be held on September 23, 1952 in Philadelphia’s Municipal Stadium. Charles and Walcott mix it up in Detroit. It was a match that inspired great public interest, in part because opinions on who was more likely to win were sharply divided. 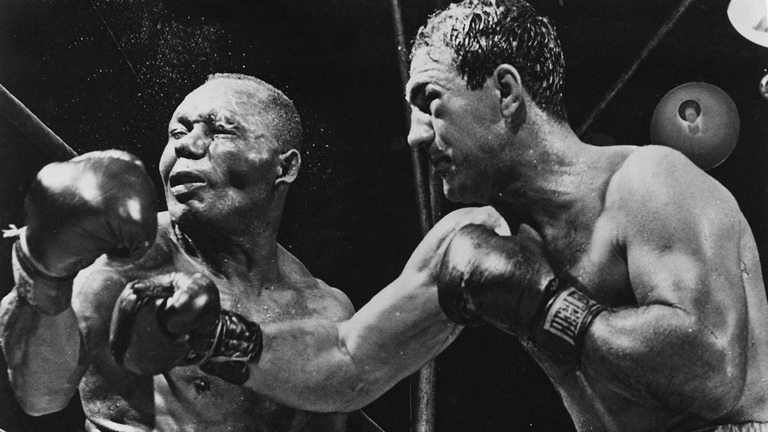 For some, Marciano’s advantages in youth and power were too much for a ring-worn, 38-year-old veteran to overcome. But more than a few saw Walcott’s edge in experience, ringsmarts and technique as being the deciding factors. Jersey Joe was too old and used up, said some; Rocky was too callow and crude, said others. And for the better part of 12 rounds, Walcott and his backers were proved correct. 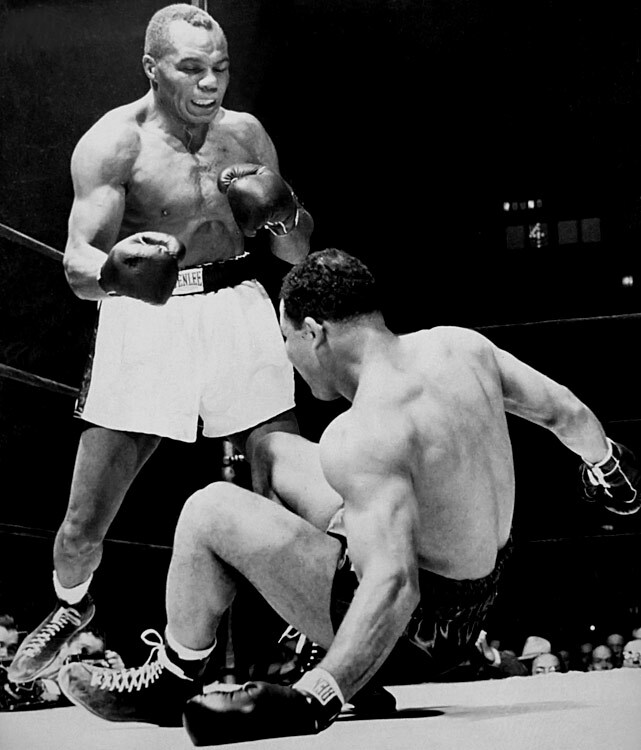 Midway through the opening stanza the champion stunned the challenger and the huge crowd when he snapped home a vicious left hook and gave Marciano the first knockdown of his career. Rocky was up at the count of four but clearly hurt and took a beating for the rest of the stanza. Indeed, Walcott dominated the first three rounds of the match, testing Rocky’s chin repeatedly and making liars out of those who had dismissed him as too old to compete with the younger man. 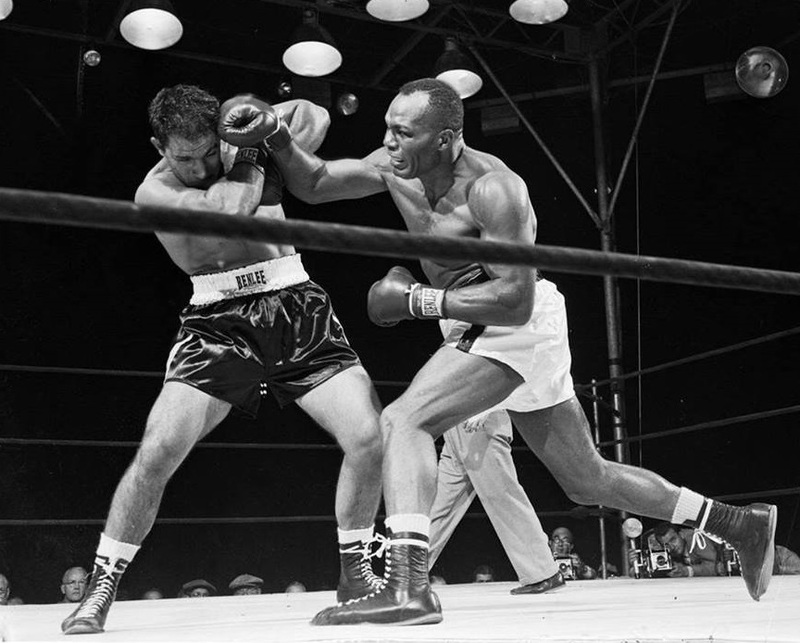 Marciano on the canvas in round one. But the challenger started to turn the tide in round four, finding his footing and bulling his way inside to launch his own offensive. It had been a fast-paced and bruising battle and the struggle only intensified as, through sheer brute force, Rocky began forcing Walcott to the ropes. There the two gladiators engaged in one brutal exchange after another and in the sixth they clashed heads: the challenger suffered a cut on his scalp, the champion a slice over his left eye. Naturally both corners applied solutions and coagulants to treat the wounds and at the end of round seven Marciano walked back to his corner declaring he couldn’t see. Something had gotten into his eyes and for the next three rounds he fought with impaired vision. Walcott didn’t need to be asked twice. 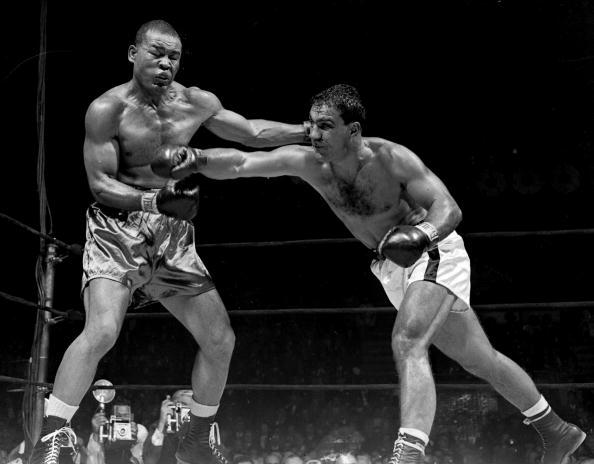 He took full advantage of his vulnerable challenger, easily avoiding most of Rocky’s now inaccurate punches and then countering with precision, landing big shots again and again, opening up more cuts on Marciano’s face and raising swelling around his left eye. It was proving a most impressive performance: the grizzled, 38-year-old warrior, a veteran of so many battles with so many great battlers, one of the very few to defeat the great Joe Louis only to be denied by the judges, was doing everything he said he would do and outboxing the younger, stronger man. After 12 brutal and fast-paced rounds he was in command and so far ahead on points, Rocky needed a knockout to win. Indeed, experience, skill and ring intelligence were proving too much for raw power and youthful exuberance. One of the most consequential blows in boxing history. And then it all came to a crashing end. Marciano answered the bell for round 13 with malice in his heart, intent on turning the tide and finally imposing his will. He stalked the champion from a crouch, forcing him to retreat, and when Walcott’s back touched the ropes both men unleashed big right hands. It was akin to the stereotypical gunslinger duels from the old western movies, the two cowboys drawing their guns in the dusty street, each man firing a single killer shot. Rocky follows through with the final punch. As it turned out, Rocky was the quicker draw and he fired a perfectly timed lead right hook that barely traveled ten inches. The blow landed flush on the chin and turned off Jersey Joe’s brain with all the suddenness of a power failure. The instant that punch connected, the match, and Walcott’s reign as heavyweight champion, were over. Joe collapsed in sections into the ropes, his left arm, hooked over the middle strand, suspending him as Marciano landed a gratuitous left to the side of Joe’s head. The referee tolled the ten count as the now ex-champion’s insensate body slowly surrendered to gravity and came to rest on the canvas; he could have easily counted to a hundred or more had he wished to. The referee could have counted to a thousand. That short, vicious right hand would prove to be one of the most consequential punches ever thrown in a prize ring. A single blow not only erased Walcott’s lead on the scorecards, but also marked both the beginning of a new chapter in the history of the heavyweight championship and the end of Walcott’s Cinderella career. Great article. What makes Rocky a wildcard in any fantasy match-up is the fact he can deliver an elite-level haymaker at any moment of a 15 round fight. Walcott fought a hell of a fight, and was doing everything right in spoiling Rocky’s style, but Marciano was too persistent. Love the photos! On September 23, 1952 a buddy of mine and myself were walking down Broad Street and I said, “Something’s going on there, let’s find out, Micky.” What was going on was Rocky Marcioano vs Jersey Joe Walcott and we found an unlocked gate and an empty seat and we saw the whole fight, a real battle until the end. There was blood spraying all over. What a knockout.